A contemporary beer print with a typographic quotation and a Name Art beer design, incorporating the words 'relax', 'chill' and 'enjoy'. The perfect gift for a lover of beer or lager. 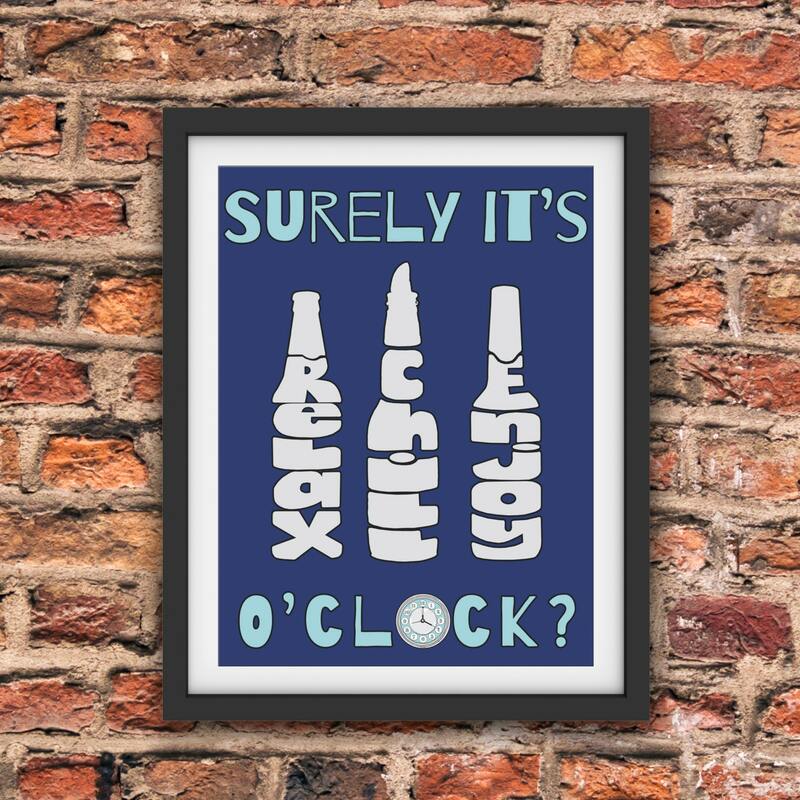 The quotation says 'Surely it's o'clock?, with the words 'relax', 'chill' and 'enjoy' incorporated into lager bottles.